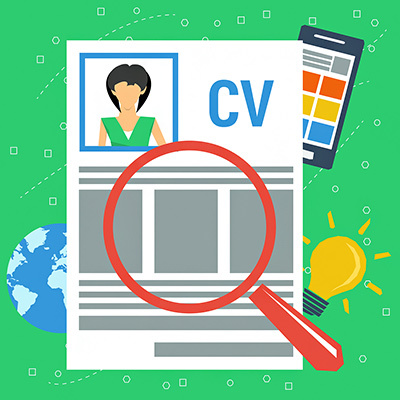 The Format of you CV is important. What you ideally want is a smooth, clear look that’s got just enough panache to stand out. If you include a little natural color it really helps to make your CV stand out. Do not over do it because using too much color could have the opposite effect. Also, consider the type of font you choose. Times New Roman is really boring and conventional! When recruiters and hiring, managers see your CV the top part is the determining factor as to whether they read on. You ought to make yours an attention grabber: Emphasize samples of your work, LinkedIn or key success. You are supposed to always include a strong catchy summary which makes you stand out from competition and highlights your USP unique selling point. Make sure to add your phone and email address. Think about the email address you are using try to use Gmail or Hotmail with your name rather than any crazy nicknames or slangs. Make one up if you don’t already have one. Near to top section point out your strongest skills for example ‘Sales Coaching’ this will show the prospective employer what you can give them as opposed to what they are offering you. Many job boards utilize keyword searches. Make sure you involve any relevant wording relating to the position you are searching for. Re-word and improve your CV to meet the required skill set when applying for specific jobs, as again this will be mean you are more likely to be seen as a suitable match for the job. You may want to separate words such as ‘hard working’, ‘punctual’, ‘great attitude’ employers usually overlook these as soft skills. This can be important depending on the role you are applying for. Make sure you enter a list of key successes such as awards, accomplishments and what you brought to your former employer. If you are applying for a sales position strive to include revenue figures and stats where possible and include how you compared to colleagues in recent years, quarters or months. Maybe look at past performance reviews to get ideas. Try to make full use of the work experience section. While keeping it short add a few lines to explain your role to employers, try not to include any company slang as not all employers will know what you mean. Include the reasons why you were promoted? Why you left your most current employer? Where do you intend to go next? What have you learned? Your CV is a collection of your most important work history. Remove experience that dates back further than 10 years unless it’s necessary to your narrative. This can take up unnecessary space and ask questions which needn’t be regarded. It can also give an ageist hiring manager an excuse to exclude you from the shortlist because you’re too young — or too old.